KOKOMAMA Marketplace - Reviving the Bingsu Trend! I meant Bingsu. Bingsu won't make it. But after almost a year, we still see lots of bingsu around. 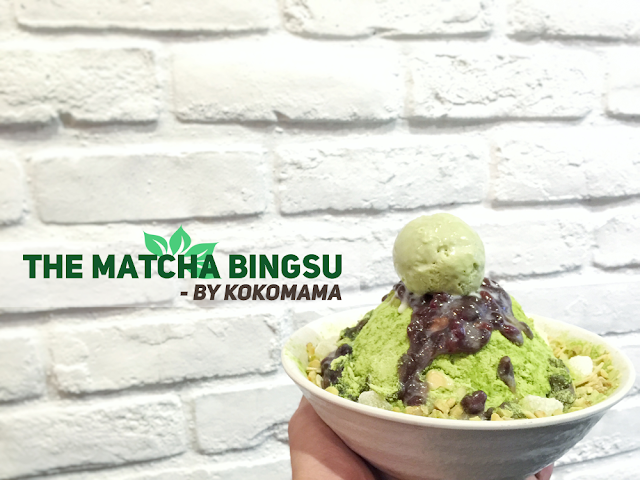 And just recently, I had the privilege to attend a tasting at KOKOMAMA Market Place, and what left a deep impression on me was the Matcha Bingsu, which made me realise that maybe, bingsu is one dessert that will never die off in Singapore. 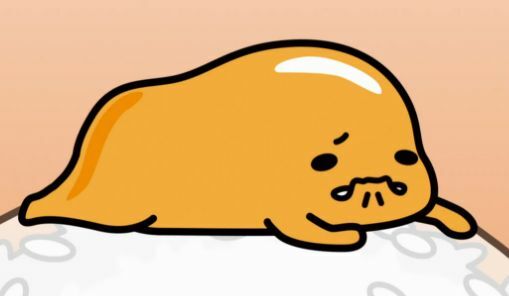 Unlike that Gudetama (SORRY EXPLODINGBELLY, I KNOW IT'S YOUR FAVOURITE). "Am I dying off? :("
They have 2 juices: Blackcurrant and blueberry. I did not try the blueberry, but judging from the faces of some of the fellow bloggers who ordered blueberry, BLACKCURRANT IS A WINNER (I was told that the blueberry juice tasted too sweet). There are a total of 3 KOKOLAVA Croissants which you can choose from: Custard, Peanut and the #trending Salted Egg. I tried all 3, and it's really a toss-up between custard and the salted egg flavour. For the custard, KOKOMAMA manages to make the lava smooth, flowy and not-so-sweet, just the way most Singaporeans would like it to be. If I only had $6.50 and die die have to choose one, I will LAVA-YOU, custard. Some of the bloggers loved the peanut croissant, but I am personally not a fan. The peanut was skippy-good, but I just felt that the pairing was off. And of course, the trending food item in Singapore now: Salted Egg Croissant (SEC). I have not tried any of that SEC prior to this, so I bit into this as a virgin of the SEC club. I immediately understood the craze over these croissants the moment my teeth sank into it. Crispy, buttery layers of croissant pastry is coated with the savoury sweet-salty flavours of salted egg, accentuating the buttery taste. It can taste really good when you are hungry. However, once you are almost halfway through, the heavy flavours sink in and you will start to feel "gelat", understandably. Therefore, you "cannot be a Joey" and have to share this with your friends in order to fully enjoy this SEC. Their flatbread pizza comes loaded with ingredients, which is really satisfying especially when you love your cheese. Again, if I had only $7.90 and have to choose between the chilli crab pizza or the salted egg pizza, I would pick the chilli crab. The chilli flavours are more distinct, but I wished that they would be more daring in their flavours. This felt very safe and did not have the WOW factor. We had high hopes for this salted egg pizza. We licked every corner of our mouth, in search of the salted egg flavours, but we could not taste any. The salted egg flavour was too muted, which made us wondered whether this was really Salted Egg Pizza. If they had called this something like "Seafood Pizza" or "Mushroom Pizza", I would have given at least a #4evilbeans rating for this. Follow me on my Instagram here to find out what rating I gave for this. At $14.90, this might be a little expensive, as the only good part was the salted egg pasta, which was served al-dente and the salted-egg flavour was just right. The mushroom soup was dismal and the garlic bread was cut into 4 thin strips. Most of us preferred them to do away with the mushroom soup and gave more pasta. The garlic bread should also come in a bigger portion, just in case it is one of those days where we can eat a horse. 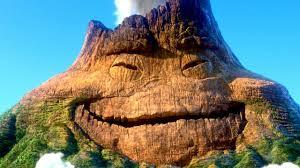 I feel that the true stars of KOKOMAMA are their bingsus. Not only were their bingsus finely-shaved, they also use milk-ice instead of water-ice, which explains the creamy flavours of the ice. The mangoes in this one were ALL SWEET, which is delightful for people like me who do not like sour stuff. It is also reasonably priced at $12.90, so THANK YOU KOKOMAMA FOR NOT RIPPING US OFF! I am absolutely IN LOVE with their Matcha bingsu! I loved how the matcha powder is rich yet bitter, which helps to balance out the sweetness from the red beans, condensed milk and matcha ice-cream. The best thing is those little bits of yuzu mochi hiding in that frozen matcha mountain - those little mochis provided the bingsu with slight hint of citrus flavours, making this bowl of Matcha Bingsu a sophisticated yet delightful combination of flavours. This is a MUST-TRY! RELATED: Best Injeolmi Bingsu in Singapore! Thank you IGHut for the invite and KOKOMAMA for hosting us!